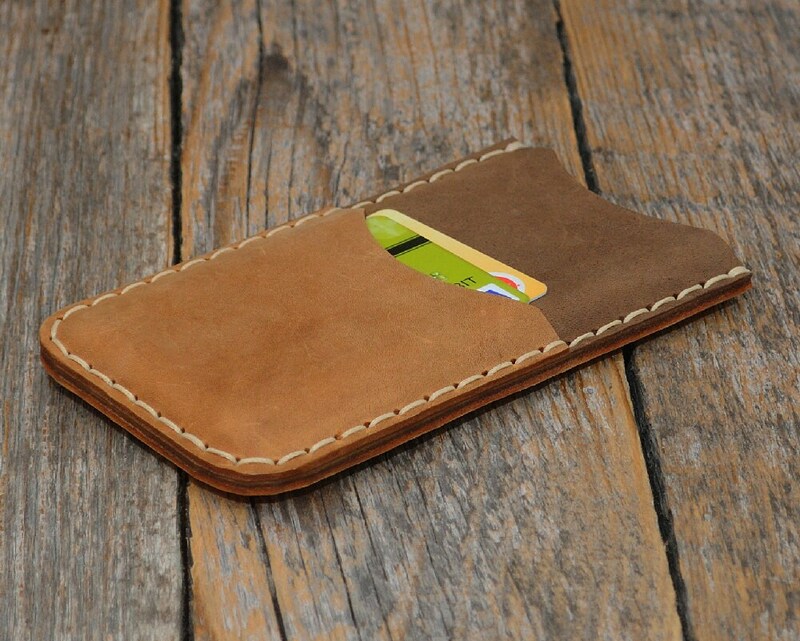 Leather case can be custom fit for any phone you have. Please specify your exact model. 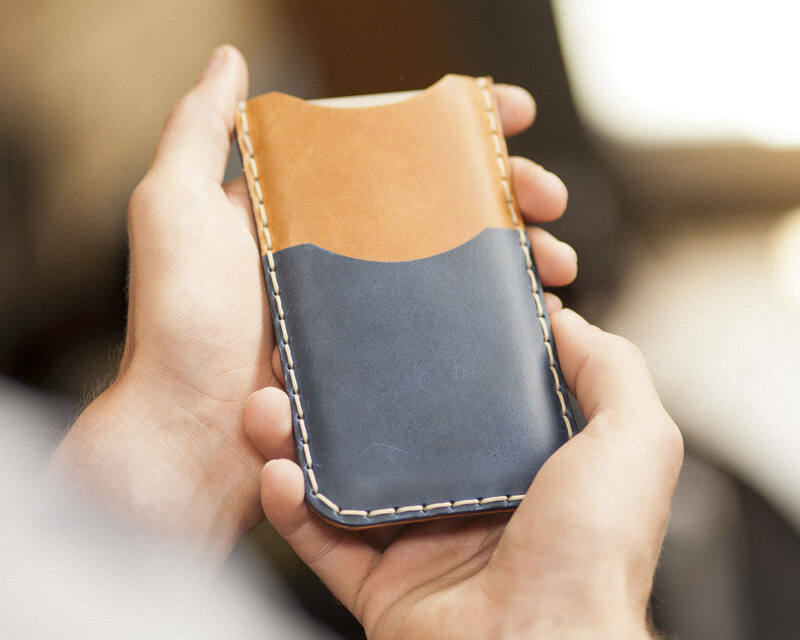 We try our best to find only the highest quality leather for all of our products. 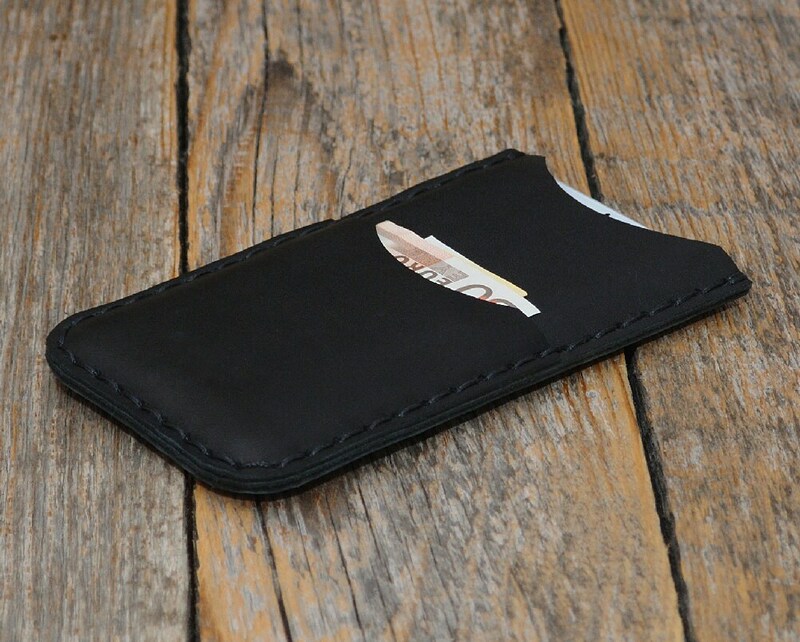 The leather for this case measures in approximately 2 mm in thickness, so you know this pouch will be strong and durable. 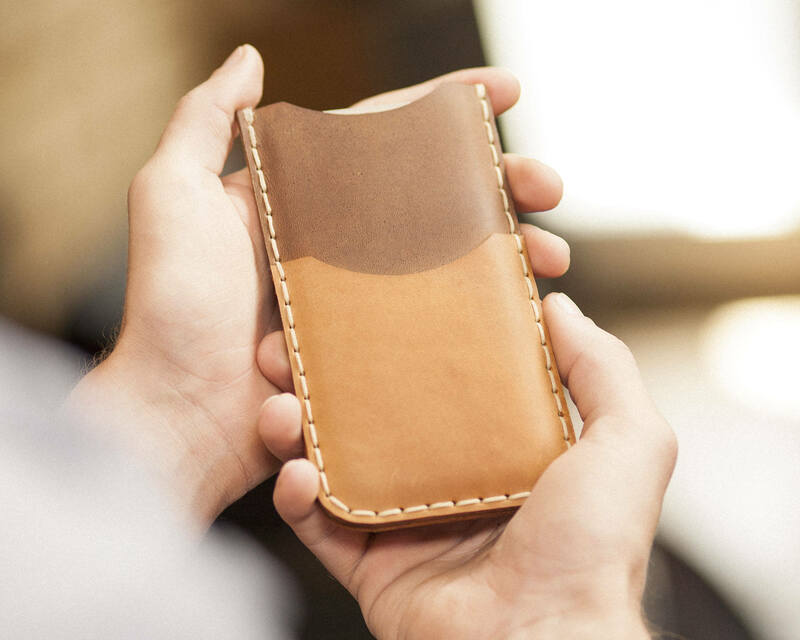 Not only will the leather case maintain itself well but it will also keep your phone very secure. 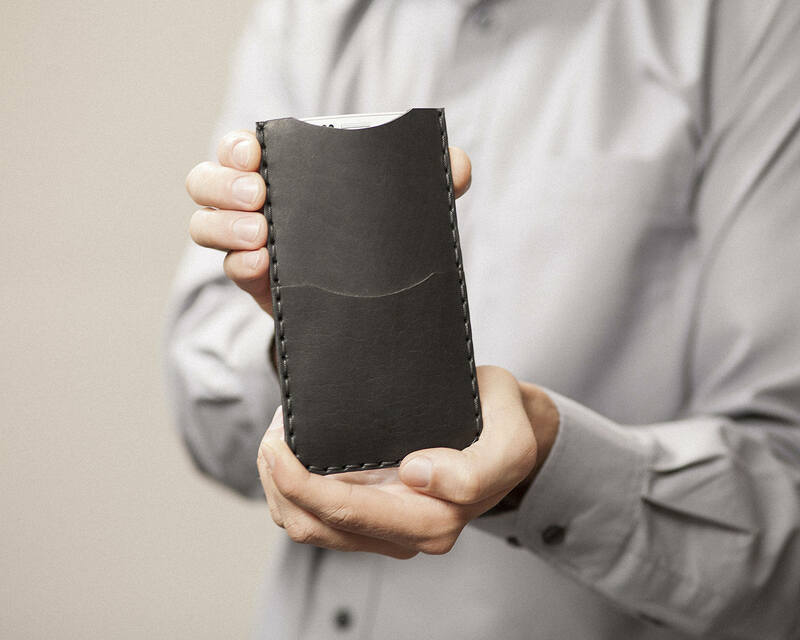 This snug fit allows your phone to stay free of dust, scratches, and other damages. 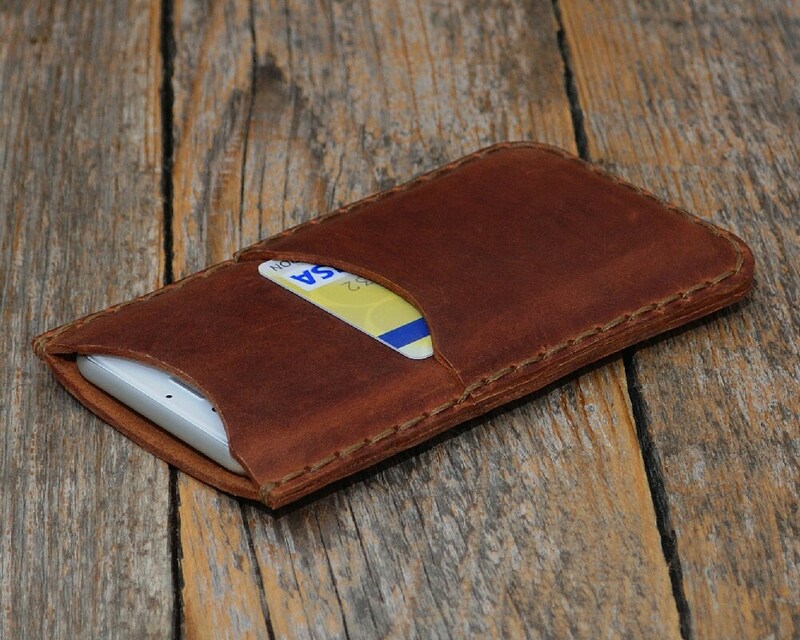 Another feature unique to this style phone is that it has a small pocket on one side to hold a credit card, ID, or other type of small card. 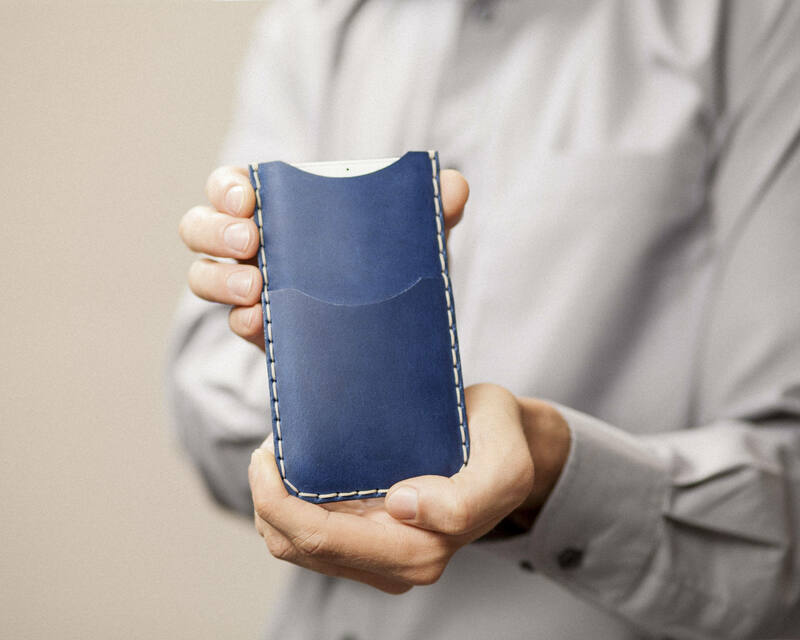 Now, this leather case may even eliminate the need for a wallet too – less to carry! 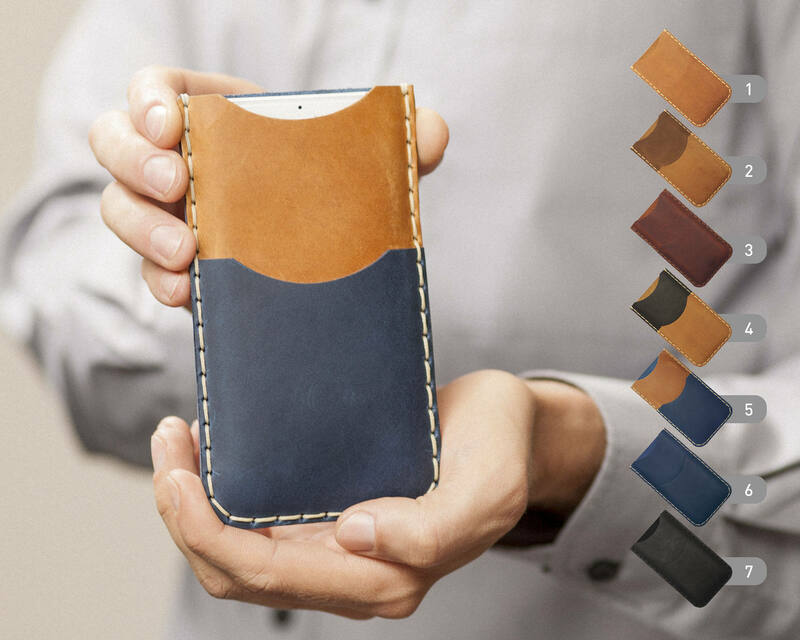 Please note upon purchase that no two pieces of genuine leather are alike; this is what differs genuine leather from the manmade material – genuine waxed leather will vary in texture and markings for every single piece. Therefore, upon purchase your item may slightly vary from the one pictured since the item we have in stock may not be the item pictured. We always provide same or next business day shipping, and we also allow you the opportunity to return the product if you are not satisfied! Here at Happer Studio we pride ourselves on both our timeless yet modern designs and our customer service. 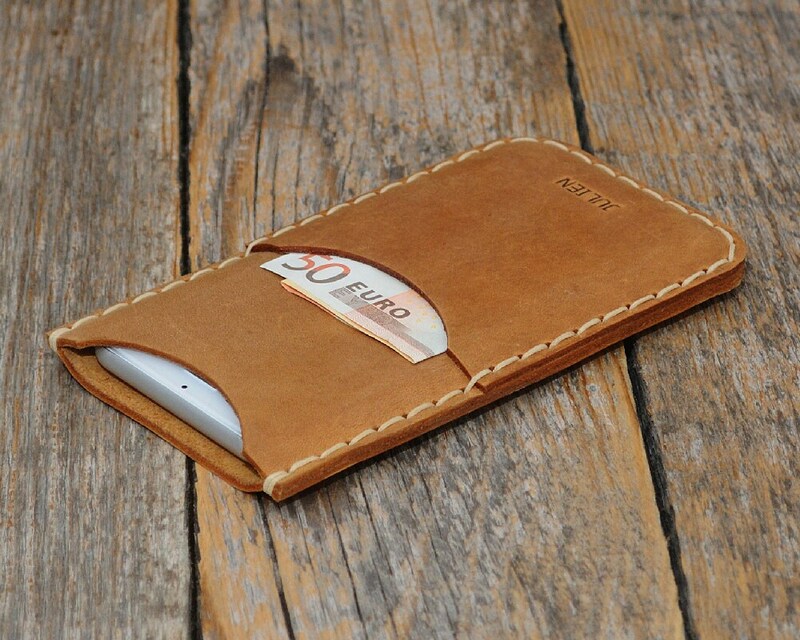 While we know that you will love this product, we also would like to see you satisfied with your purchase! Happer Studios is a small, family run business. 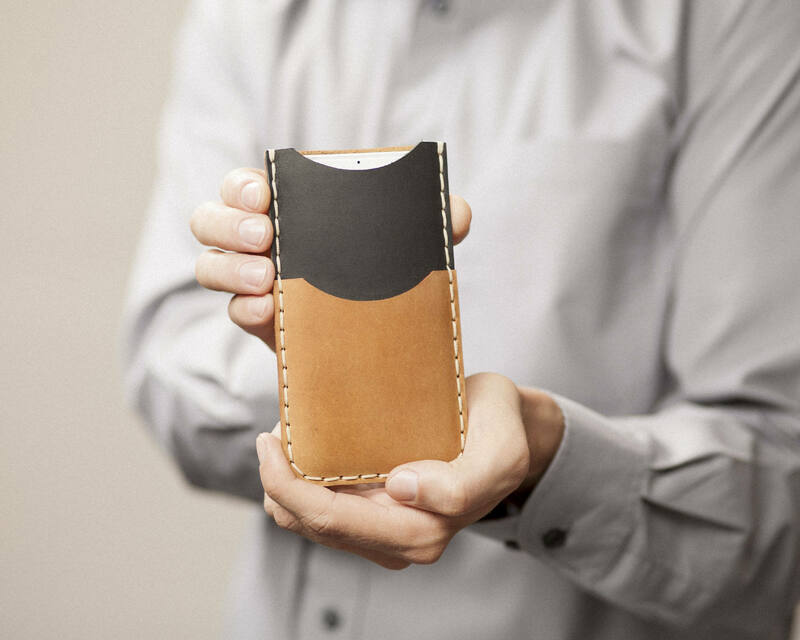 We specialize in handmade leather bags, sleeves, laptop cases, and accessories. We focus on high quality products and customer service, and we can’t wait to do business with you!